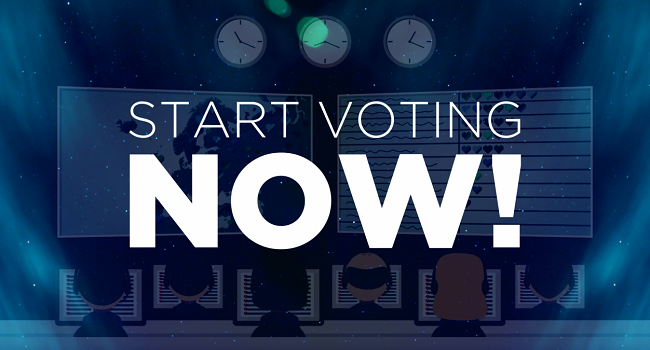 Start voting for your favourite Junior Eurovision 2018 entries! Since a few hours, more precisely 20:00 CET tonight, the online voting lines for the Junior Eurovision Song Contest 2018 have been opened! … or go to the voting page directly, because as soon as you get there, the same recap will start playing before you. After that, you get the option to watch a 1-minute clip of any rehearsal clip you like. Then it’s time to vote and you’ll have to vote for at least 3 different countries but no more than 5, so decide wisely and make your votes count! You can vote from wherever in the world you are, even for your own country if you wish to do so. This 1st stage of voting will be up until Sunday November 25, 15:59 CET, right before the live show. Then the Junior Eurovision Song Contest begins and only after the last song has been performed, the lines will be open again! That voting window will be open for 15 minutes and the same rules (3 to 5 countries, even your own country if you like) apply here. These votes from the two voting phases will altogether account for 50% of the votes, the other half will be decided by professional juries (3 per country). The Junior Eurovision Song Contest 2018 will start this Sunday at 16:00 CET! Supernova 2019 : Audition process completed!